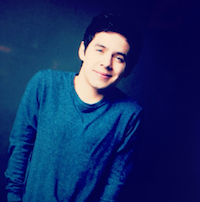 Watch this space… David Archuleta gets the hero’s welcome he deserves! well, maybe I did. How awesome are those Indonesian fans?!?! Warms my heart to see David getting the hero’s welcome he deserves! My dream used to just be that David would come back to Canada for a concert (or, gasp, cross-country tour)… now I also want him to get this kind of welcome whenever he does make it up here… Team Airport FTW!!!!!!!! 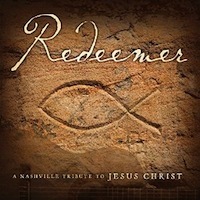 The CD/DVD will be available July 18 and should take 7-10 business days to deliver. If you’re outside North America, in the top left corner of the home page, choose your country of residence. PP.S. SPOILER ALERT! I know we are all against pirating music in general and David’s music in particular so here is a playlist where you can listen-only to the new songs (‘cuz I know we will all be buying them!!!) … So what do you guys think?!?!?! This entry was posted in Fan experience and tagged Dear David Archuleta, we're resting up for the onslaught of your epic tour of Asia.. Bookmark the permalink. 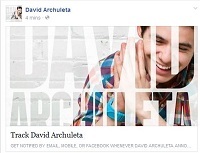 45 Responses to Watch this space… David Archuleta gets the hero’s welcome he deserves! hahahahha The rest of July is going to be very entertaining!!!!!!!!! “Love Don’t Hate” reminds me of She’s Not You, so should be a hit among fans. LDH co-written with Joy Williams. An apology song to a loved one he hurt. Shouldn’t be that way, coz love don’t hate, hate… definite love song. Notice Me is really good… a bit like she’s not you. Wait is my least fave. Does little justice to his vocals. The chorus too beaverish IMO. US fans, worry not, the DVD is region-free. Lol, there is something strangely serene about watching that! Won’t be the case so much when we start getting vids from this tour. Can-not-wait! I agree with everything you said Deb ! /wink haha!! wow ,must have been a big kitty that coughed up that thing! OK, I keep moseying back here to “watch this space.” It is hypnotizing and mesmerizing in its own way, and I’m pretty sure I hear music from “The Sons of the Pioneers” in the distance. Good move to give us something right now that is restful, soothing and… uh, tumbleweedy. Before you know it, we will be pulling 24-hour shifts at the computer, with all browsers aimed at Asia. Dropping in for a little diversion to watch the video and comment on your post Tofan. My life has been rather upturned lately. Life certainly goes in cycles and sometimes change hits us hard when we don’t expect it. Beyonce is making her own statement to the world and doing things her way, good for her. At the end of her video she says….”I don’t have to prove anything to anyone, I only have to follow my heart and concentrate on what I want to say to the world”. I see definite parallels in that statement alone and I can see why it left such an impression on David. David is taking control of his life and what he wants to say to the world too and he is definitely following his heart. I’m a little behind on things and on the last post but just read it and what a great post abanana. Love the royal pics too (and David’s vlog). David’s performance of GBA was another beautiful rendition, just lovely. Been a difficult time this past week, lost my dear Mother unexpectedly and my family and I are really feeling her loss. So very loved, will miss her a lot. She always told me to do the things I love to do, especially when I need them most so I am incorporating David’s music into this time of healing and adjustment. I find David’s beautiful voice so soothing, honestly he has a tone like no one else. Soon I will be putting one foot in front of the other again, for now I just go to those spaces and places that are most comforting. David’s voice certainly is. Wishing him all the best on his Asian tour. Peppertara, so very sorry for your loss. What a tough time you must be going through right now. Sending thoughts and prayers to you and your family. So glad David’s music is helping you get through this, I know it’s the first thing I want to hear when things get rough. peppertara, I am so very sorry for the loss of your mother. You and your family are in my thoughts and prayers through this difficult time. Spoiler alert! Posted a link at the end of the post above to a playlist where you can listen only (not download) the 5 new Asia TOSOD bonus songs … along with deets on how to legally purchase the CD/DVD from CDnow with free shipping! I like both songs WAY more than I expected to but can see whey they didn’t fit on TOSOD… I think LDH is winning for me (adore the chorus on both songs). Thanks to everyone from my heart for your very kind thoughts and comments. refnaf, David’s music is definitely balm for the soul and thank you for reminding me of that beautiful video. Thanks TOfan, just listened to the new songs and do like them all, a sweet little group of love songs from David. Interestingly enough I really like “Wait”. Maybe it’s because I am in a sensitive state right now but do really like the song and actually made me think of my Mother (wait, don’t go). It’s all okay though. Seems to be some people’s least fave but I really like it. Like LDH too and Notice Me is very pretty. Still think Everything and More is one of the sweetest little love songs. New music from David! These are probably not the ‘epic’ songs we may hear from David in in the future but they are good!….that silky, sensitive voice of his will draw you in every time. Didn’t know about the Australian store for ordering the CD but I did manage to order one from the lovely Singapore fansite when they had a short term offer available for International fans. So sorry for your loss Peppertara. So glad you are able to enjoy David’s music. love them all. actually even E and M is growing on me. Awww Peppertara. So sorry to hear of your loss. Peppertara, It’s so hard losing a parent. So sorry to hear about your mother. My prayers and thoughts are with your family. I’m loving all the new songs, especially Wait and LDH. He does heartbreak so well. Deb, loving the tumbleweed. It brings back memories of the HUGE AZ dust storm we had last week! Went out to mow the lawn, looked south and saw it coming. I went in to get my mom so she could see this wall of dust and in just that amount of time it was upon us. Went from day to night. It was pretty amazing! Speaking of AZ, is anyone from Snowangelz coming for his concert in September? I just live a few blocks from were it will be held. Can’t believe we get a full concert, with the band, for just $2. I’ve been squeeeing ever since I found out about it. Gilbert won’t know what hit them if this is one of the only concerts he does before the Christmas tour. Can’t wait for videos from Asia to tide me over till then. sweetonda, how cool that David’s coming to your own backyard!!!! I saw that dust storm on the news, yikes!!! … Since the AZ concert is on a Saturday I am going to try my dangdest to get there! (ngl, was bummed that the original “MB-length” set was shortened to a 45-minute set but I’m sure it’ll be well worth it… and for only a $2 donation??? do you think if we donate more they’ll give him more time on stage? 🙂 Kidding! … Sort of, bwahahaha. MunkFOD….thank you and I have lost both parents now too. A difficult thing, time will help heal and so will beautiful things like David’s voice. Thank you Betsy and sweetonda for your kind words. 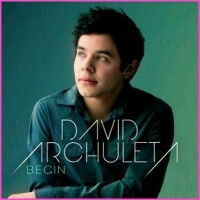 I am loving David’s song Wait…..has a hauntingly beautiful sound to me and David has that little ‘ache’ in his voice. He emotes so well, amazing. Great job on all the songs. I would love to go to David’s concert in Arizona. Probably won’t make it but sure would love it. sweetonda….how wonderful that you live so close. Wow, nothing like having David in your neighborhood to perform! Pretty special. Peppertara– Catching up with things here and was saddened to learn of your unexpected loss. Extending sincere sympathy. I hope the happy memories of your mother will bring you comfort. Peppertara – Deepest sympathy for your loss. Drifting along with the tumbling tumbleweeds…. Ciao amiche mie for now, fellow tumbleweeds! Ah so cute Kizzi >drift along to AZ with us in Sept!!!!! Peppertara, adding my voice to the chorus of friends who sympathize with your loss. Big hugs. I’ve lost both of my parents too. I haven’t listened to the new songs a ton yet — busy time with my kids — but I’m a little too in love with Notice Me to have given the others a fair listen. I’ll get there in due time. Enjoy the new music and great welcome in Indonesia! David looks great and so excited for him and the band. Of course,so excited to hear David’s LIVE version of everything!! Hope to have a LIVE recording some day. That is just the best news! Go fans! I am loving all of David’s new music. He is soooo talented! I am one lucky person! and… loving the great reception in Indonesia! holy smokes! They almost ate him alive! LOL! thanks for the great post! Just visited The Voice, http://www.thevoicedavidarchuleta.com, and great screen caps in the top post’s comments of the Indonesia visit. ASCPhil has written a picturesque review of David’s past visit to Asia. 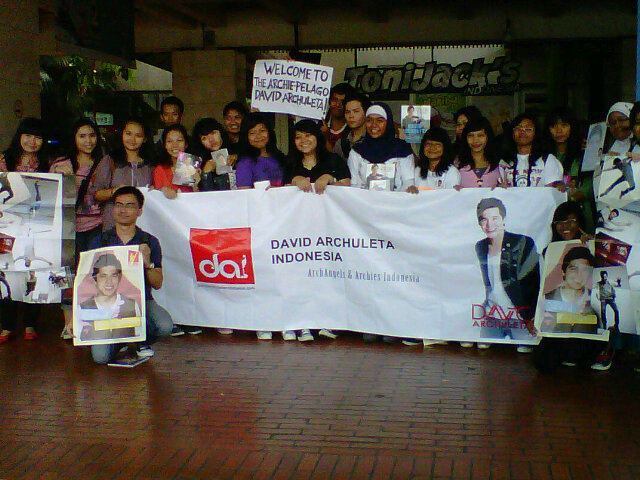 Hello everyone, sooo excited to see the Indonesian fans gave him a very loud and rock star welcome, they are fantastic!!! the love for the guy never “get cold” with time it just wait for the right moment to explode, and it exploded alright, Indonesia is not only famous for her active valcanoes but now also for the love for our man, kaboomm haha. Thanks (to Heidijoy) for being excited right along with me, It’s kinda unreal that he’s so near to me already eeepp . Just add to my excitement, last week Sony people call me if I want to upgrade my tickets from 500 rm. to 800 rm. so that we’ll get to watch the sound check too, haha it took me only a split second to say yes!!! man.. David really rip my money out of my wallet so fast and furious haha my family will have to live off instant noodle for a long while lol crazy thing we do when it comes to “the boss man”. Love all the commotion ur.. reception at Indonesia air port, I was worry about him got squish for a bit there lol. There.. David, soak it all in, you’re loved with capital LOVE, you have to know it by now. Love the comments. love the Asia love David is getting and love the new songs…… Wait, wait ,wait , don’t go…exactly how I feel hearing David in concert. “Every time I try to chase your voice, I end up getting lost and running in circles, and it’s never enough, never enough….. The tone of his voice is perfect! Watching this space for live concert vids!!!! Peppertara – so sorry for your loss. You and your family are in my prayers. How did I miss David posting this “arrival in Jakarta” pic on his FB? I really really like all of the songs and can’t wait to listen on repeat. I really like Wait, but the more I listen to LDH the more I like it. Kind of has an LP sound to me or something like that, and the background vocal at “ooooh if it’s gonna mean losing you” at 2:04, I just looove it! I think Notice Me is one that could do really well too. Kizzi, it is The Voice. That sells it for me no matter what he sings. 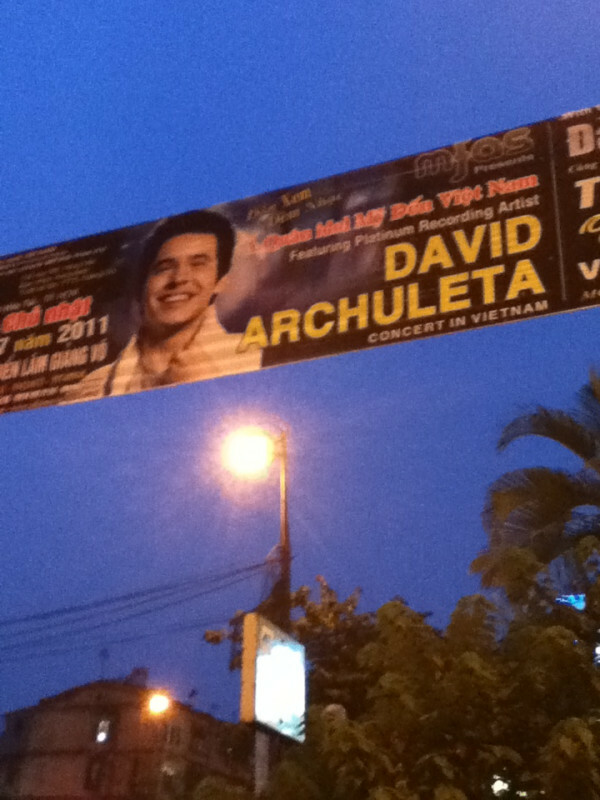 Knew that David would be getting a warm welcome in Asia but wow, so much love for him and he deserves it all. Really touches your heart, amazing fans! Love them and so does David. He and the band must be wowed, concerts will be fabulous and yes, I hope David does sing his new songs over there, I'm sure he will. Lots to come! I am now loving all of David's new songs, 'Wait' still has to be one of my faves. His tone, his emotion, the whole feeling of the song just puts me in a very sweet space. Right now it's the one I listen to most. Tomorrow it may be one of the others. Videos of these new songs would be incredibly wonderful. Still loving that somewhat serene tumbling tumbleweed from the last thread but there is certainly no drought happening for David's fans. So much love in the 'Asian air' and it's spreading across the globe! Very happy for David and his devoted fans. I was wondering how you were getting around phoenix? I have never been there so any advice on how to safely go around at night would be appreciated.. If you know anything…THnx in advance!! Hope to you have fun at the fair! !